If Megan thought life at her new boarding school was going to be easy, she was dead wrong. All the students have the same mysterious virus--one that's slowly turning them all into zombies. The teachers at Zombie Academy are lifeless and the food stinks. Literally. 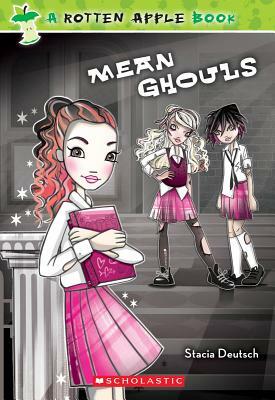 And worst of all, the clique of popular mean girls who rule the school have already decided that Megan's dead to them. All Megan wants is to get back to her old school and her old friends. But until a cure is found, she'll have to figure out how to survive middle school. Stacia Deutsch is the author of more than forty children's books. While researching this novel, she read a lot about zombies in books and online. She tried to find one to interview, but all her leads turned out to be dead ends. Stacia lives in Irvine, California.